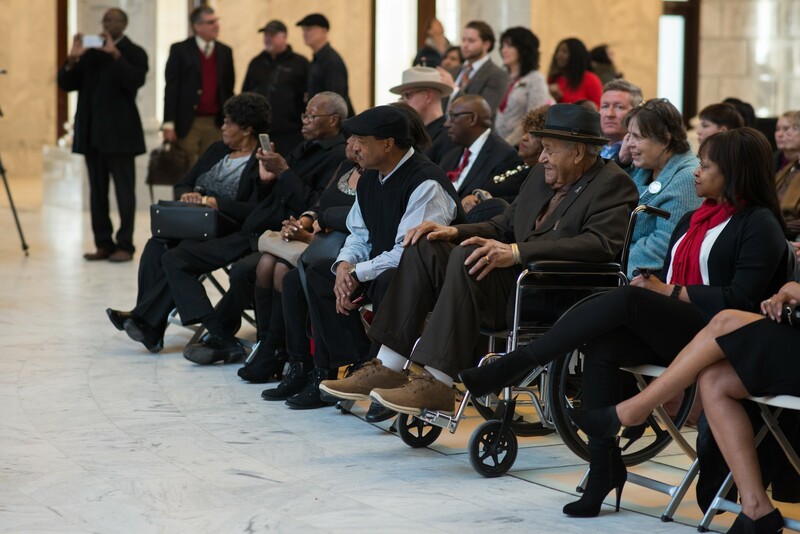 Jazz musician Joe McQueen celebrated his pre-100th birthday at the Utah State Capitol building on Feb. 7. Friends and family at the celebration honored McQueen for his lifelong devotion to preserving a landmark in performance and cultural arts. The Salty Crickets, a local elementary school band, performed “Happy Birthday,” while the audience sang along to McQueen before the first guest speaker spoke, featuring instruments widely used in jazz ensembles, such as the flute, violin, cello, and saxophone. 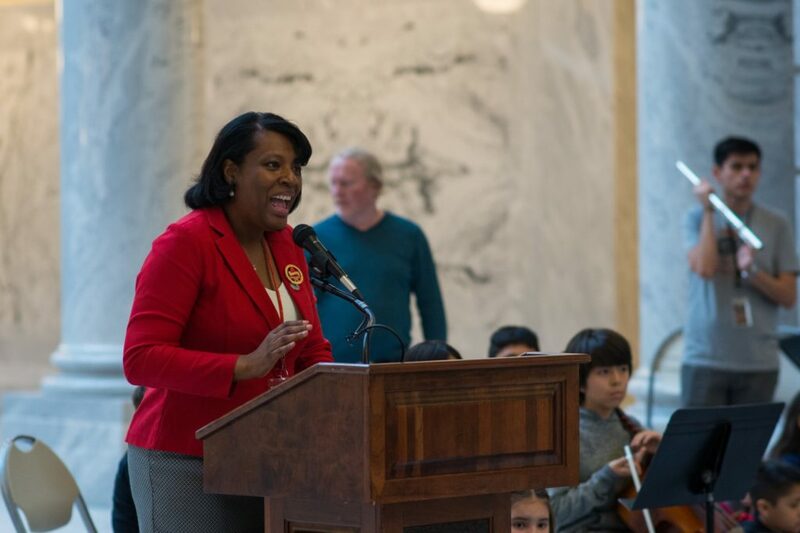 Mike Caldwell, Ogden City mayor, has known McQueen for years and said McQueen has helped establish a community of visionaries who are authentic, hopeful, and historical. 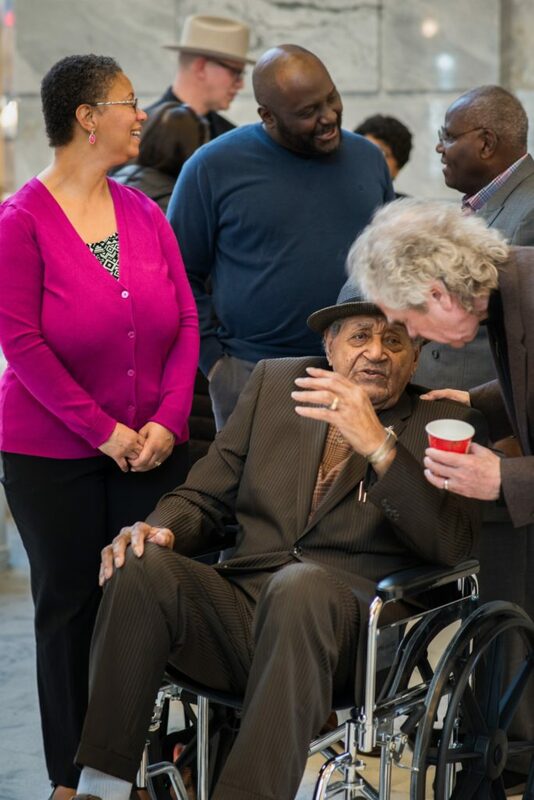 At the ripe age of 99, McQueen continues to perform shows and gigs with his jazz group, The McQueen Quartet, at bars and venues in Ogden and surrounding areas. McQueen has also performed shows, volunteered, and taught automotive technology at Weber State University, making him a part of the Weber State family. “Joe reminds us to hold on and to never give up, to share love, and maybe that we can leave a small portion of the legacy that he has left in the community all over the state,” said Betty Sawyer, a longtime friend of McQueen. McQueen was raised in Ardmore, Oklahoma, where he was introduced to the saxophone, his signature instrument, by his older cousin, Hershel Evans, who was a member of the Count Basie Orchestra at the time. The Count Basie Orchestra is a 16-18 piece ensemble founded in Kansas City, Missouri, in 1935, a prestigious jazz group during the “big band” era, who has collaborated with famous musicians like Frank Sinatra and Ella Fitzgerald. The Count Basie Orchestra still performs today. At the age of 25, McQueen moved to Ogden with his wife, Thelma, in 1945 — when jazz music and the railroad were hot attractions in 1940s’ Ogden. McQueen has lived in the same Ogden home for the last 73 years, performing live jazz music in Utah and says that he has no intention of leaving. 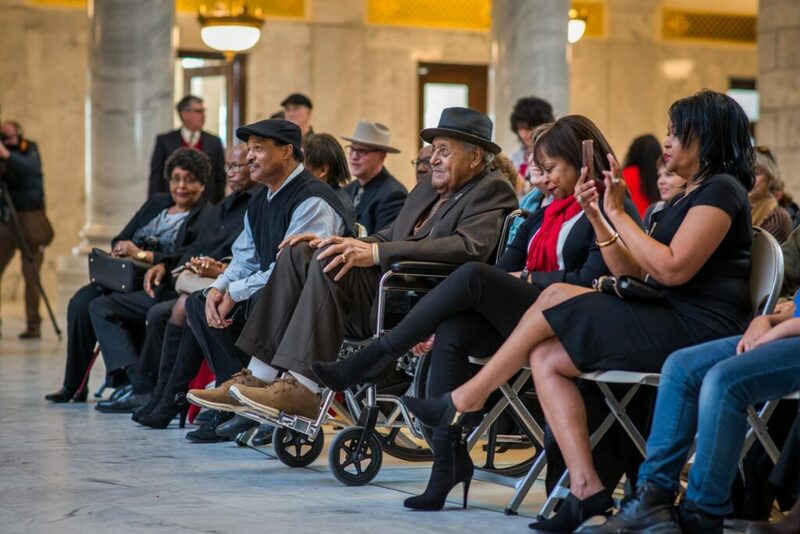 In 2002, former Utah governor Mike Leavitt established April 18 as “Joe McQueen Day” for the state of Utah. McQueen humbled the audience at the birthday celebration with one last message. “Anytime that I’m anywhere and you see me, you can say ‘hi, Joe,’ because I’m always willing to speak to anybody. I love everybody,” McQueen said. McQueen will perform with The McQueen Quartet on the night before his official 100th birthday — May 30 — at the Gallivan Center in Salt Lake City on May 29.